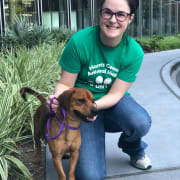 Mobile adoption team members work at our off-site adoption events. You will assist in transporting equipment, setting up the mobile adoption area, handling and caring for our adoptable animals and counseling potential adopters. Dates, locations and times vary but adoption events generally occur on the weekends. This opportunity requires a high level of physical activity.